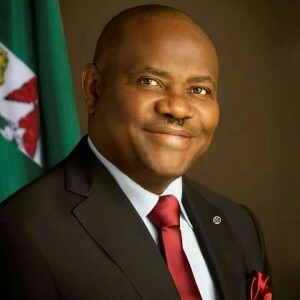 Rivers State Governor, Nyesom Ezenwo Wike has declared that the immediate past administration’s spirit of demolition destroyed the foundation of basic and secondary education in the state. Governor Wike stated that his administration inherited a rot of unimaginable proportions in the Education Sector from the Amaechi government, which he is tackling frontally. Addressing journalists after projects inspection on Saturday, Governor Wike decried the situation where the Rivers State APC has descended to the lowest level by involving school children in politicking. He noted that Former Rivers State Governor, Rotimi Amaechi awarded contracts for 425 schools, but delivered only 170 schools, abandoning the rest after state resources had been committed. “We feel so bad that people begin to play politics when they know that they caused the development crisis in the state. Like we have said, we are not here to give excuses. But they should be able to admit that they caused the problem,” he said. The governor noted that several schools were demolished by the former Rivers state governor with the promise that they would be rebuilt, only for the past administration to fail in her obligation to the schools. He said: “If they understand the rot that we inherited, if they understand what the last administration did to the state education sector, nobody will complain. We are working hard to correct the anomalies, complete the schools, build new schools and reposition the education sector . “Now we are going to publish the book compiled by the Economic Advisory Council of the Amaechi administration. Out of the 425 schools that contracts were awarded for construction, only 170 schools were completed. All the other schools were abandoned and we are completing them. “When we complete any of their abandoned projects, they engage in propaganda that the project had reached 90percent completion “. Governor Wike cited the case of Port Harcourt Mall which was started by former Rivers state governor, Sir Celestine Omehia, but abandoned by the Amaechi administration. He said the state government is working with a partner to complete the mall and create employment opportunities for the youths. He said: “My happiness is that Rivers people have seen the truth. They have seen the difference. No amount of blackmail or propaganda can change anything. “We have worked hard to transform the state. What motivates us is that our people are happy “. Governor Wike expressed satisfaction with the pace and quality of work at the Mother and Child Hospital, the Judges Quarters, the Court of Appeal, the National Industrial Court and the Produce House. He said that with what the contractors are doing at project sites, in the next few weeks, several projects will be ready for commissioning. Picture 1: Rivers State Governor, Nyesom Ezenwo Wike (m), Chief of Staff to the Rivers State Governor, Engr Chukwuemeka Woke (r) and Special Adviser on Special Projects to Rivers State Governor, Alabo George Kerley during project inspection at the Court of Appeal Port Harcourt on Saturday. Next articleOkorocha denies impeachment plot against his deputy.